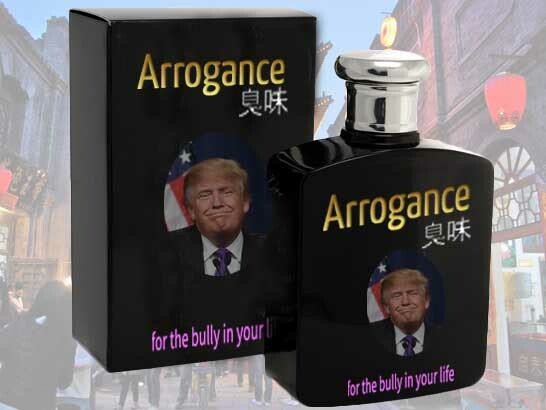 China has now granted approval for 38 new Trump trademarks, including a range of men’s perfumes to be sold under the brand name ‘Arrogance’. Spoofflé today received this exclusive screen shot of the billboard and magazine advertising planned for ‘Arrogance’, which Trump executives are optimistic will lure Chinese men away from established brands such as Boss and Armani. Other proposed business activities include Trump-branded hotels, bodyguard services and a string of high-class Beijing massage parlours to be known as ‘Stormy’s’.